What do you get when you mix science and music? 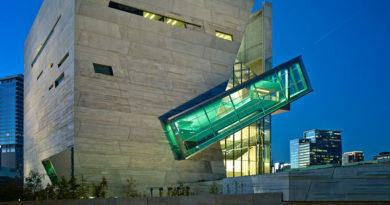 A night of experimental fun at the Morton H. Meyerson Symphony Center on Feb. 28 at 7:30 p.m. The Children’s Chorus of Greater Dallas (CCGD) has partnered with the Perot Museum of Nature and Science, and the Science Policy, Education, and Communications Club (SPEaC) of UT Southwestern to present their “Earth, Wind, and Sky” performance. More than 500 students will perform pieces inspired by science concepts ranging from astronomy to biology. Prior to the concert attendees will have the chance to interact in hands-on experiments and can submit questions to be answered by scientists during the performance, as well as SPEaC scientists conducting experiments throughout the performance. CCGD aims to create and cultivate musicians and singers with a lifelong appreciation for art and culture beyond music. Tickets for the event are between $10-$39 and can be purchased at the Children’s Chorus of Greater Dallas.